The Upper Room Coffee Lounge is open every Wednesday to Friday from 10am to 2pm. 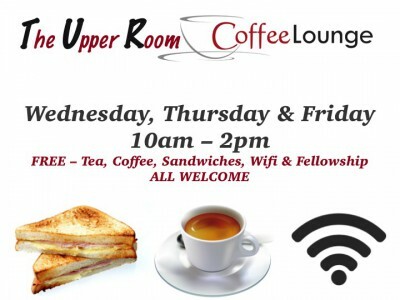 Catering to those in need the Upper Room is open Wednesday – Friday with free wifi, tea, coffee, cakes, sandwiches. We have a series on “Breaking Addictions” also taking place. The Upper Room is open for whosoever, who would like to come along and have some fellowship, prayer, ministry or just a hot cuppa. All are welcome. With our team of dedicated people, we offer a continental breakfast on a Sunday Morning to those in need in the Upper Room. 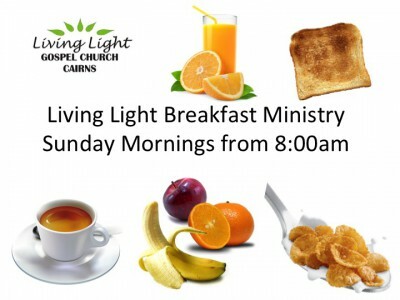 From 8:00am you are welcome to join us for a a free toast, cereal, fruit, juice, tea or coffee. We have run our outreach programme to the homeless and those in need for the past eight years. To date we have funded this very special service from the collection plate at our Sunday Services. 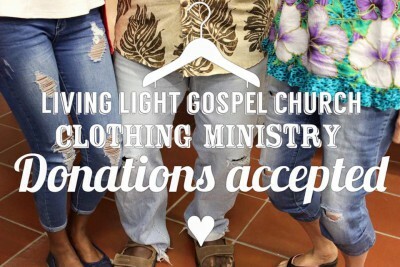 However, due to the rising costs associated with running the programme, we now need your help to continue.